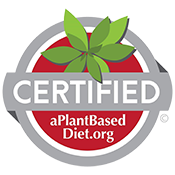 Greenfare Organic Cafe of Herndon, VA has achieved Platinum REAL Certification Status. Greenfare is a unique and powerful restaurant concept is driven by the mission to promote health and change the way their community eats. To be awarded Platinum status, Gwyn and her team prepare a 100% organic plant-based menu without the use of sugar, oil or salt, made completely from scratch. Greenfare also sources locally and implements numerous practices to make the restaurant as environmentally sustainable as possible. Read the full interview. Click here.